It’s a narrative that keeps on going and going: can Battle Royale titles be legitimate and successful esports? The first structured offline league didn’t do much to add weight to the argument of “yes, they can be” but PUBG Corp. is hoping to change that. Daybreak and Twin Galaxies teamed up earlier this year to launch the H1Z1 Pro League, a competitive LAN season that would see a select number of teams compete on one of the most popular Battle Royale games. It perhaps came at a bad time, however, as the title’s player base was already low and still dwindling – interest had already manoeuvred over to Fortnite and PUBG long before the first split got underway. In November, it was reported that the competition would be closing operations after receiving disappointing viewership, plenty of criticism, and allegedly going way over budget by the way of expensive parties. It was even stated that teams in the league had not received stipends, meaning organisations have had to pay players at a net loss due to the failed payments. PUBG Corp. is launching six professional leagues and competitive circuits for an additional three regions, and obviously the developer will be hoping to avoid the same fate as Daybreak’s efforts. So, just how achievable is that and how can it be done? Let’s explore some of the lessons that are there to be learnt. As mentioned earlier, H1Z1 Pro League launched when the game had already past its peak in terms of its player base – PUBG is possibly in the same stage too. On a positive note, the game still has hundreds of thousands of players and is still adding in new features (such as the new snow map, Vikendi). Not only that, it’s not long been released on Xbox One and it’s heading to PlayStation 4, too. If PUBG Corp. can fix the glitches in the game, keep adding new compelling content, and listen to its audience, then there’s still hope for the Battle Royale giant yet. The H1Z1 Pro League entered a broadcasting deal with Facebook that saw each and every match in the inaugural split be streamed live on the social media platform. This may seem positive due to the sheer amount of users that Facebook has, but it’s yet to hit the nail on the head when it comes to games broadcasting. It has been widely criticised for a long while now, and plainly not streaming on Twitch and/or YouTube is a surefire way to avoid getting the action in front of the right people. If PUBG Corp. sticks to Twitch – where it has been streamed since PUBG’s inception – then that’s undoubtedly a positive for the upcoming esports push. Allocating budget to marketing each of the pro leagues in their respective regions – and perhaps, cross-promoting to other regions, will be a big help in terms of visibility. 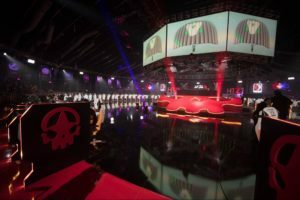 The H1Z1 Pro League reportedly spent a lot of money on “lavish parties and events” which were thought to be used to build up a rapport between the players in the league with the staff operating it. Clearly, money wasn’t being put to good use. PUBG Corp. and its third-party organisers should use the allocated budget wisely to give the game the push it needs to get that all-important viewership. The H1Z1 Pro League involved fifteen teams and that was it. The official esports push for H1Z1 was the only real competitive scene in the game, and that’s damaging. Any esports title needs a healthy amateur scene to feed into the professional scene, keeping the game alive over the years with new talent flooding in. 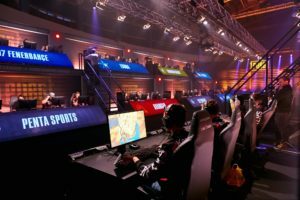 The PUBG Europe League, for example, has the PUBG Contenders League that allows players and teams to earn promotion into the main regional league. Grassroots initiatives would help with the development of talent too, though rules have been put in place restricting players under the age of 18 from competing in any official PUBG Corp-sanctioned event. Nonetheless, it seems as if the competitive community isn’t quite as closed off as the H1Z1 Pro League, which is a good sign. All in all, the proof is in the pudding. PUBG Corp. will have to wait until its first ever structured season gets underway in January to see if it’s successful or just another failed project. At least it has a good example of a Battle Royale league to learn from, however.